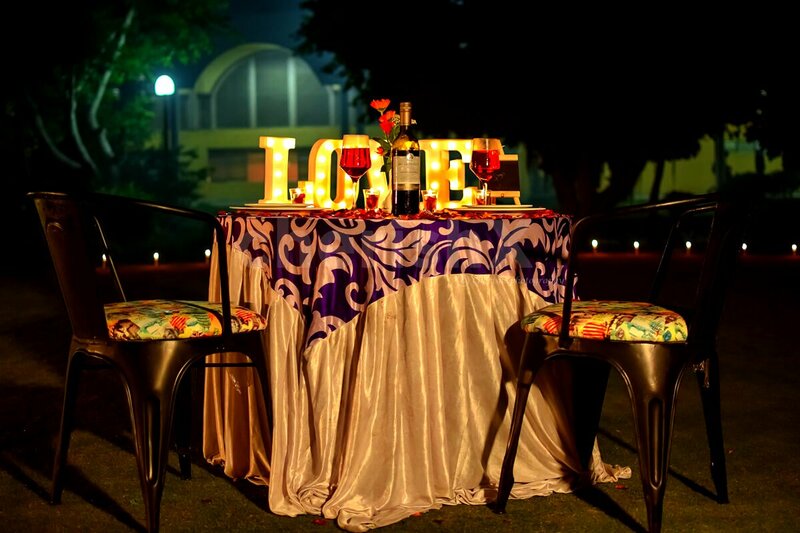 Peace, greenery, romance and good food all in one package! Enjoy a delicious and decadent meal in the form of a dinner at a lush green area, atop the dewy grass and fresh crisp ambience. 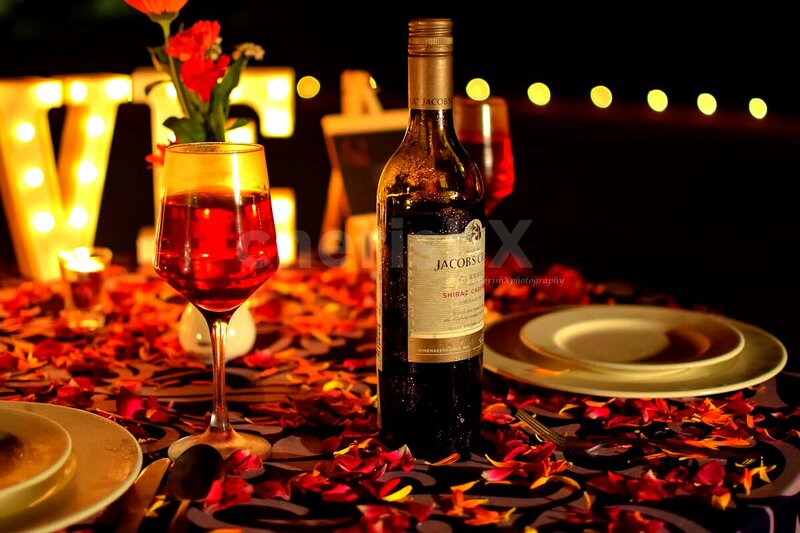 You will be welcomed warmly at your venue with yummy mocktails for two, after which ensues a sumptuous treat in the form of a dinner. The meal will be a 3 course veg/non veg meal which will consist of 2 starters, 2 mains, 2 desserts, and unlimited breads. 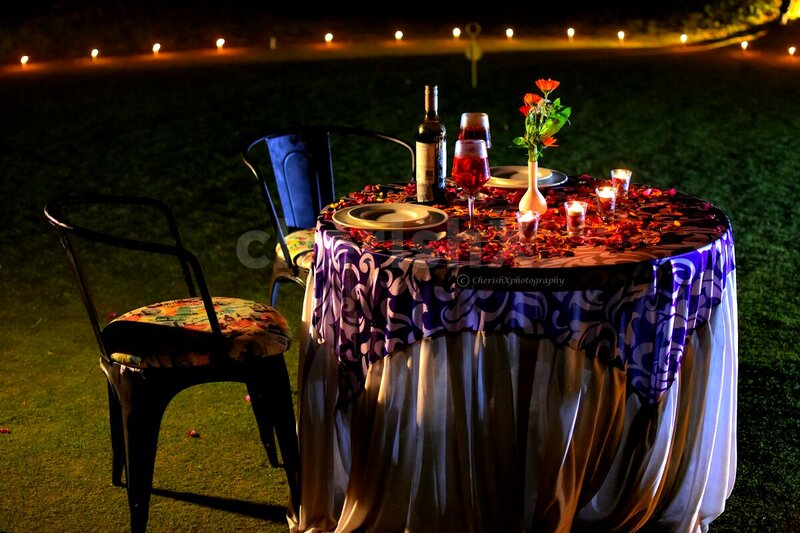 Your dinner will commence on a beautifully decorated table set up with flowers and candles. For your convenience, a private butler will be at your service to make your experience as hospitable as possible. Sway to the ambient music and make sweet memories! 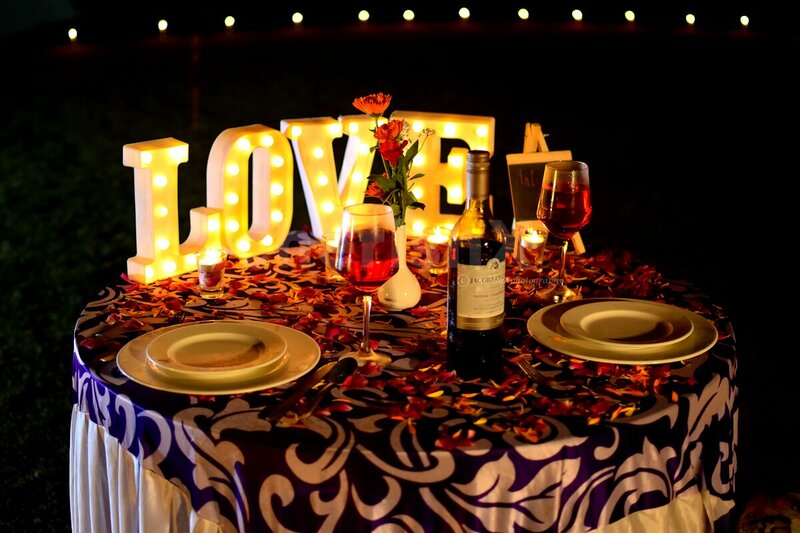 Sweeten this surprise with some of our thoughtful customisations such as bouquet of beautiful flowers, a cake, and a pick up and drop service for your convenience! Welcome mock-tails for two at your restaurant. 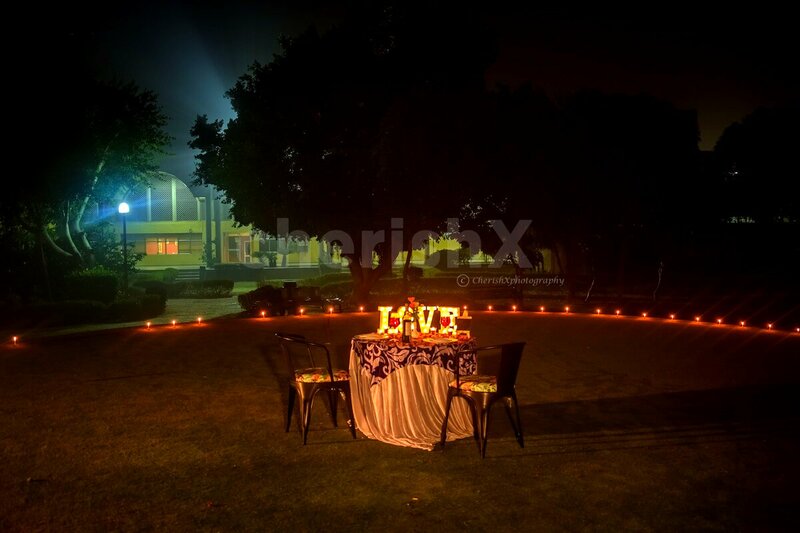 A beautiful decorated table with flowers and candles. The venue closes at 11:45p.m. You can place your order at most by 11:00pm.